I’ve always wanted to go into space. The now-familiar view of our “big blue marble” have always fascinated and entranced me, even as a young boy. With Earthlapse TV, I can stare out of a virtual window from the International Space Station to watch the coast of Northern Australia spin past my high viewpoint, see the aurora borealis as it shimmers above the northern hemisphere, or watch as the world turns from London to Africa beneath my gaze. This is a gorgeous app and a perfect fit for the big-screen TV in my living room. The London to Africa run. The team at Jetson Creative, makers of Magic Window apps for iOS and Mac, have outdone themselves with this one. There’s a nice caption in the upper left that tells you what you’re looking at and the time and date in the upper right corner, all done in a futuristic space-like font (though you can choose one of four other fonts, as well). 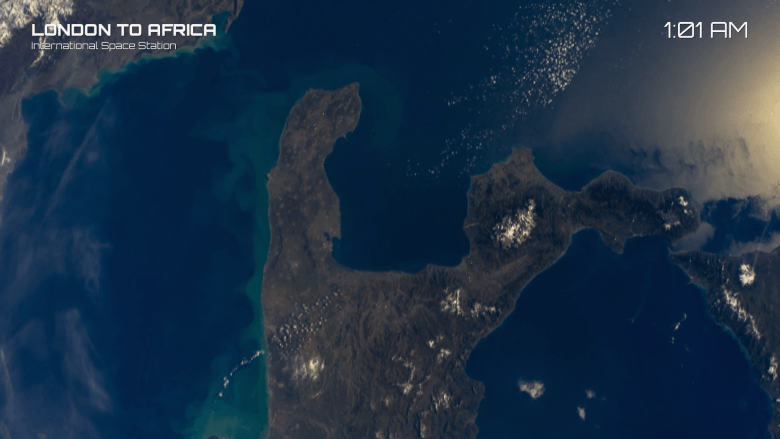 The videos that Earthlapse pulls from aren’t super great, so the team pulls the raw images from the NASA feed and puts them back together in a much higher resolution using Apple’s Metal API to render the images for your Apple TV. That’s what lets you change the speed and color effects. 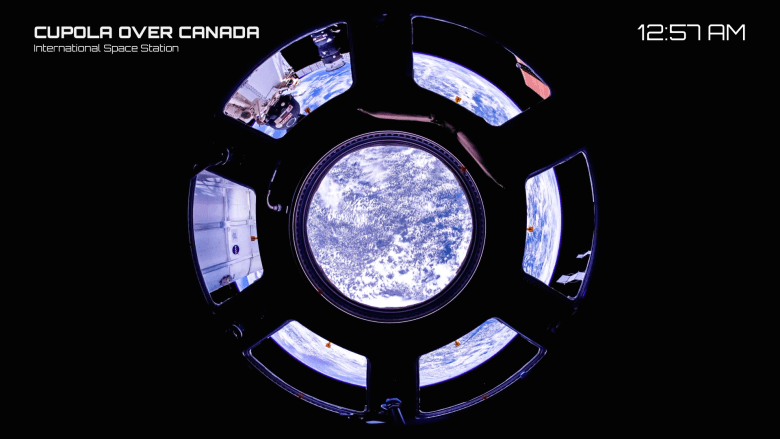 Canada through the ISS cupola window. 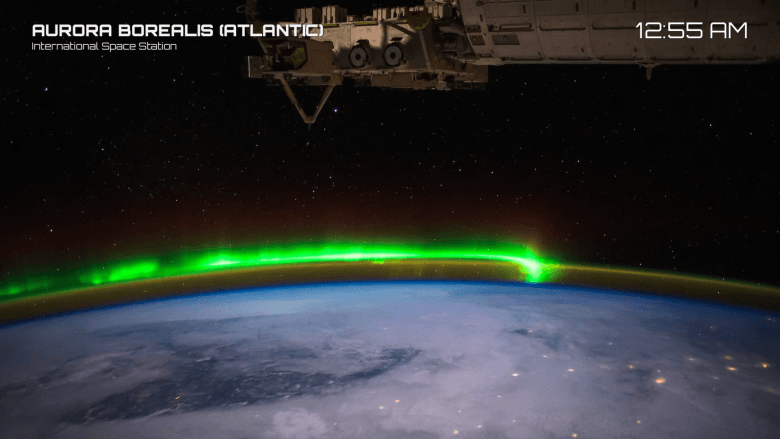 These beautiful, high-definition shots of our home planet are a delightful addition to Apple’s own aerial screen-savers, though these have sound whereas Apple’s do not. You can set the soundtrack to eight different tracks, including Space Drone, Celestial Temple, Space Calm, Classic Space, Skyway, Sun Beams, Dream and Space Ambience. Earthlapse, also available on iOS, has 18 unique videos captured by ISS astronauts with eight different soundtracks and four differently styled clocks. There are four different color filters, including a stunning black and white option, five different playback speeds, and a 1080 p resolution that was mastered at 4K. It was built with Apple’s Metal engine, typically reserved for games, for buttery smooth playback and crisp graphics. To find the app on your Apple TV, simply search for “Earthlapse” with your Apple TV remote.